Have you ever picked up an interior design magazine, drooled over the beautiful, stylised spaces, put it back down, looked around your home and thought, `How on earth do I do this?' Do you want a home of which you can be proud? A home that you are happy to return to every single ... read full description below. 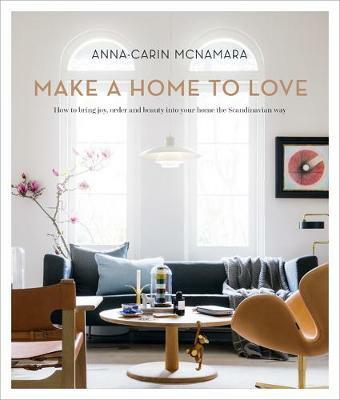 Anna-Carin McNamara is a Swedish-born interior designer with a Master's degree in Interior Design from the Royal College of Art in London. She is the founder and director of ANNACARIN.Design, a Sydney-based interior design studio that specialises in high-end Scandinavian interiors. Her Forsa Rug Collection for Designer Rugs, inspired by her Swedish roots, was a finalist in the 2014 Good Design Awards. 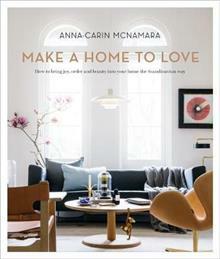 Anna- Carin's work has been featured in many publications, including Vogue Living, Belle, Home Beautiful and Australian House & Garden. She is currently developing further products under the ACD brand and the studio is working on a wide range of projects in both Australia and Scandinavia.